Users must upgrade to Windows 8.1 or Windows 10 to keep getting patches. Windows 8 is about to get a lot less secure. 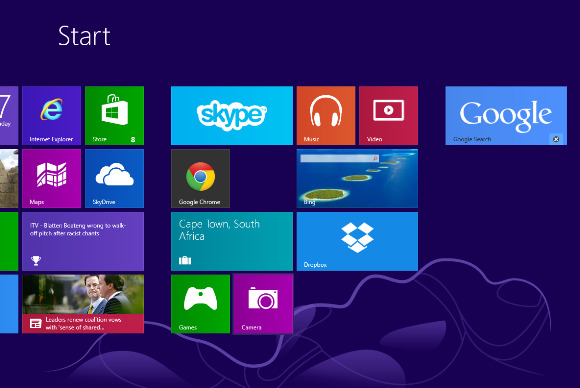 After January 12, Microsoft will stop offering security patches for the three-year-old operating system. Users will have to upgrade to either Windows 8.1 or Windows 10 to keep receiving updates. As Ed Bott notes over at ZDNet, Windows 8 is an exception to Microsoft’s typical support lifecycle policy, which provides 10 years of security fixes after the initial launch date. That’s because Microsoft considers Windows 8.1—a meaty update released nearly one year after Windows 8—to be a service pack, rather than an entirely new OS. Microsoft only guarantees two years of security patches for users who don’t update to the latest service pack. Still, metrics firms NetMarketShare and StatCounter both show that Windows 8 accounts for nearly 3 percent of desktop Internet usage. At least that’s not as high as Windows XP, which stopped getting security updates in April 2014 and still accounts for around a tenth of desktop Internet usage. The impact on you at home: The end of Windows 8 support is most likely to affect enterprises who’ve delayed upgrading, and end users who’ve had problems installing Windows 8.1. If you’ve put off the upgrade for whatever reason, now’s the time to back up your files and make the jump.